Can you eat…A pea? A pear? A bee? A bear? 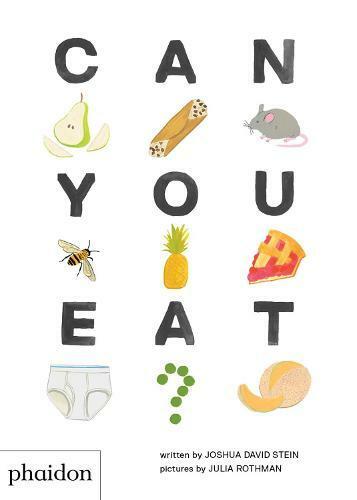 In this spin-off board book to the bestselling picture-book companion, food critic (and dad) Joshua David Stein asks the question, ‘Can you eat…?’ followed by a lyrical list of illustrated items. From familiar items like apple pie and pineapple to the more nonsensical, like underpants and elephants, this read-aloud twist on a first book of food offers plenty of giggles, with simple yet sophisticated hand-drawings by Julia Rothman that provide authenticity and a balance of seriousness to the silliness at hand.